(NationalSecurity.news) Years of low-level conflict have worn down the U.S. military logistically, and this of course includes the Air Force. Though there was never a legitimate air threat in Iraq or Afghanistan, the Pentagon has nonetheless committed U.S. air power to both of these theaters. In fact, if you count the “no-fly zones” in Iraq through the 1990s and 2000s, U.S. aircraft have been patrolling those skies for nearly 20 years. In fact, many of the same aircraft. And now the piper has to be paid, only, there’s little money in the kitty to pony up the dough. Air Force officials clearly want to salvage the aircraft because it is still one of the most fearful dogfighters in the sky. But the incoming Trump administration has some hard choices to make regarding its future. 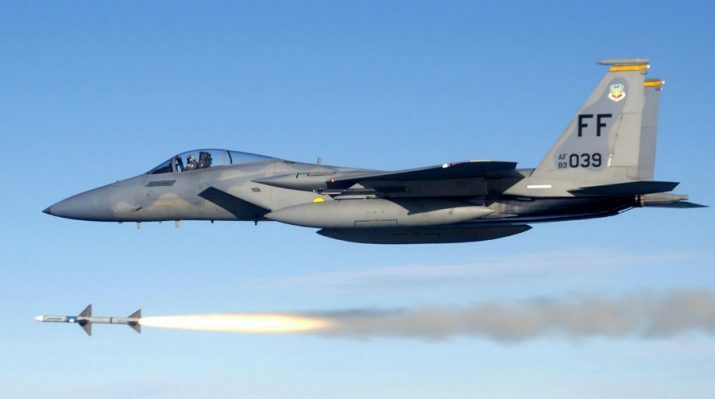 For now, however, Pentagon and Air Force officials will just have to get creative in financing necessary upgrades, or keeping more F-15s on the ground.